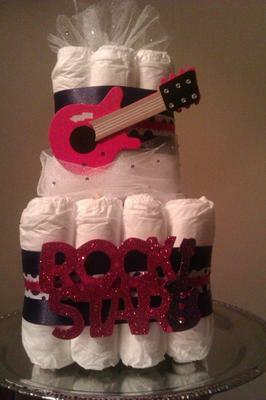 My business is called Luvy Dovey Diaper Pastries. 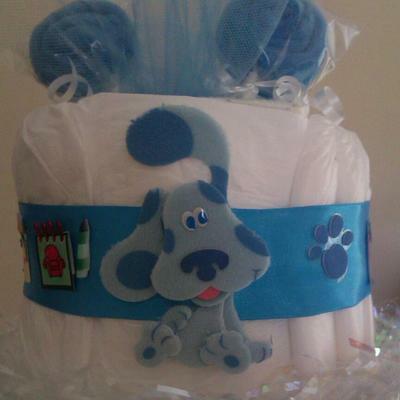 I LOVE being able to create unique items that make the mommies and daddies go "WOWWWW that is awesome!!" 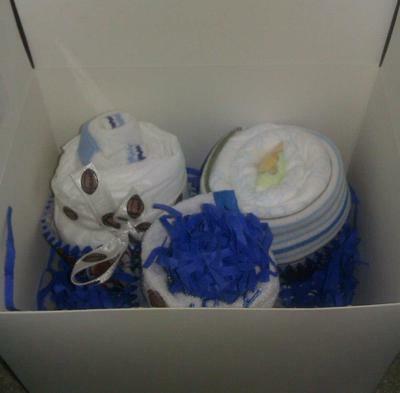 I make 1 and 2 tier diaper cakes, square diaper cakes, onesie cupcakes, diaper cupcakes, diaper bouquets, washcloth lollies, gift boxes with assortments, washcloth candies, burp cloth candies, onesies with designs (usually wording such as "diva", "princess", etc...), emergency mommy kits, and more!!!! Nothing I have is over $25!!!!!!!!!!!!!! !